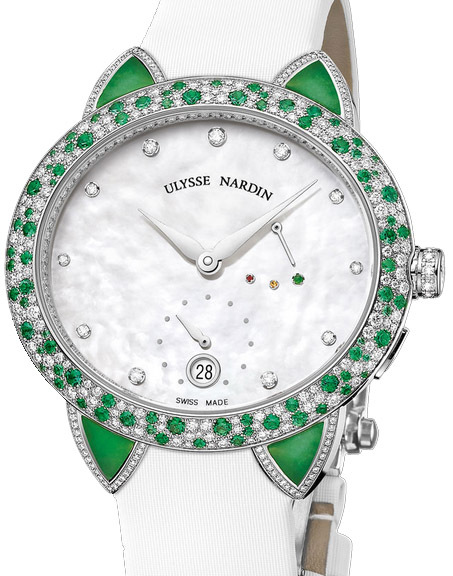 When Ulysse Nardin unveiled at Baselworld 2013 its first in-house designed and produced self-winder caliber for a ladies’ watch, the Caliber UN-2130, the top model of its new series featured four elegant green jade horns flanking the sparkling diamonds and emeralds on the bezel. 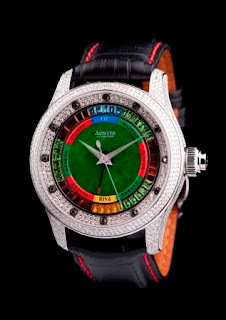 Meanwhile, also at Baselworld 2013, The Chinese Timekeeper, a Hong Kong brand, launched a new addition to its Jade Collection, the CKJ18, an automatic watch using white Burmese jade beads as time markers on the dial. 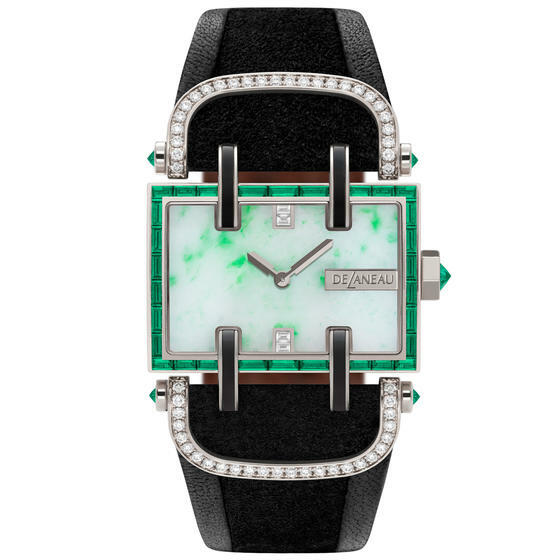 Jade, which is associated with good luck in Chinese culture, comes in various colors and is traditionally used in jewelry. 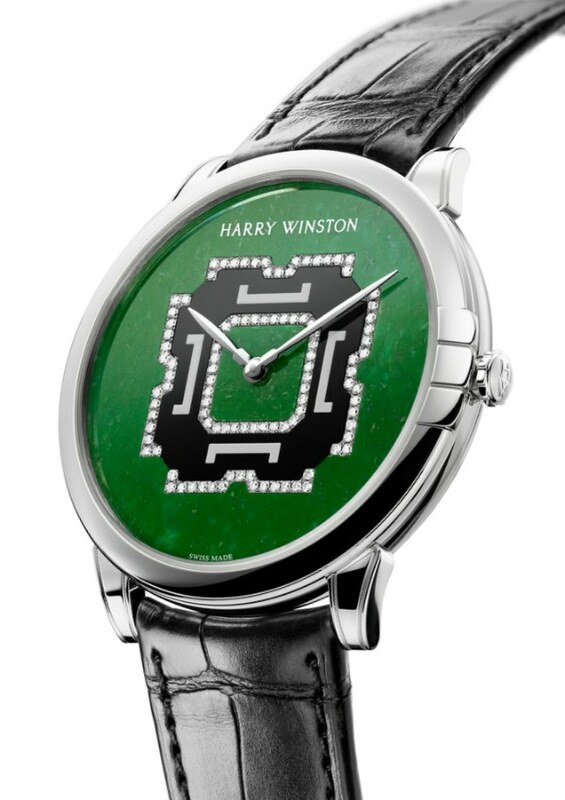 In recent years, watchmakers have also started to offer timepieces that carry jade elements either directly on the dial or on the bezel. 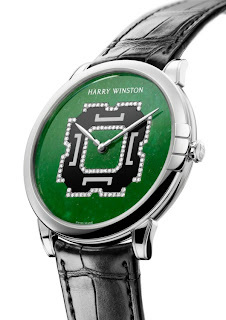 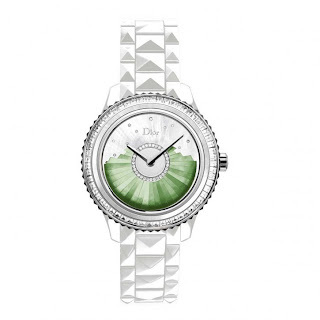 Some of the most stunning watches using jade on their dial include the 2012 “Dior VIII Grand Bal Plissé," which used a marquetry technique to decorate its dial creating in the process an unusual gradient of green, as well as Harry Winston’s Midnight Limited Edition Shanghai ladies wristwatch which also used a marquetry technique to create a geometric motif inspired by the architecture of traditional “Shikumen house” and contrasted green jade with black onyx. 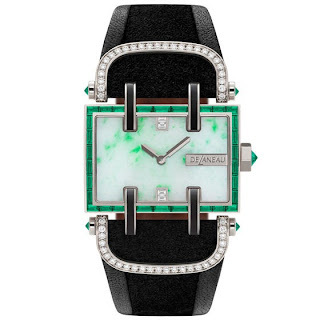 Last year, Delaneau presented a jade version of the Atame, with the large rectangular jade dial enhanced by a white gold case set with 30 baguette-cut emeralds and 4 onyx.